Ben Kenigsberg and A.A. Dowd count down their favorite movies of the year. 1. 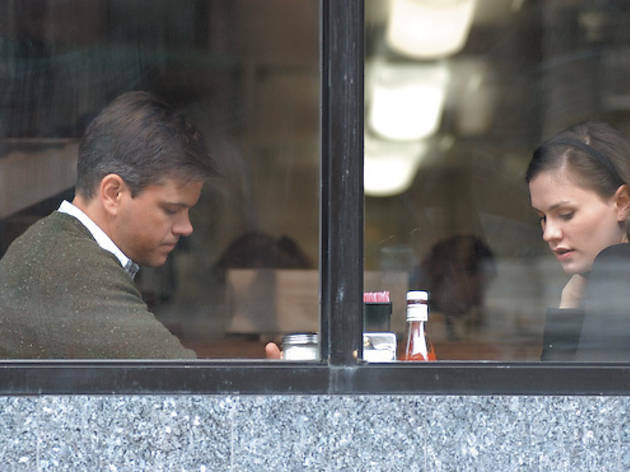 Margaret Released six years after it was filmed, Kenneth Lonergan’s truncated sophomore feature dares to go long and risks imperfection. 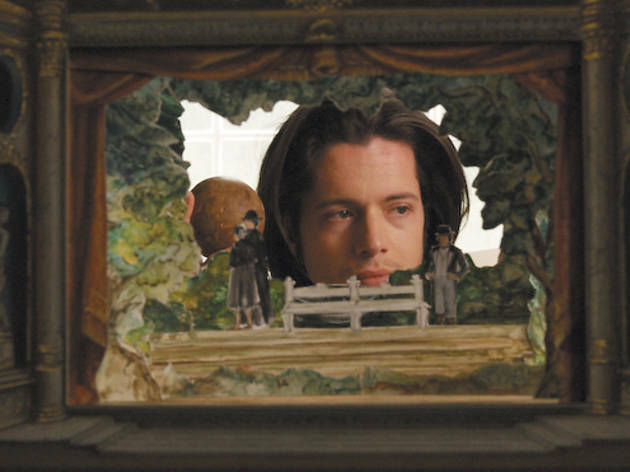 But it scarcely has a scene that isn’t volatile, rich and ambiguous. Chronicling the rocky emotional state of a teen (Anna Paquin) who inadvertently causes a bus accident, the movie maturely allows her guilt to coexist with a series of dovetailing dramas. 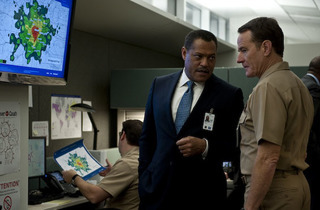 This definitive post-9/11 movie may yet find its audience. 2. Certified Copy By contrast, Abbas Kiarostami’s sleight-of-hand masterpiece is the year’s closest approximation of perfection, remarkable for what it achieves with two leads, one afternoon and a conversation that becomes something more. It’s a movie about relationships, art and life—how we come to value what we value and feel what we feel. 3. The Interrupters Steve James’s moving, multifaceted documentary on CeaseFire’s fearless violence interrupters changes the way you see urban violence, Chicago and, indeed, city life in general. 4. Martha Marcy May Marlene Few first features are as confident or boldly formalist as Sean Durkin’s harrowing debut. 5. 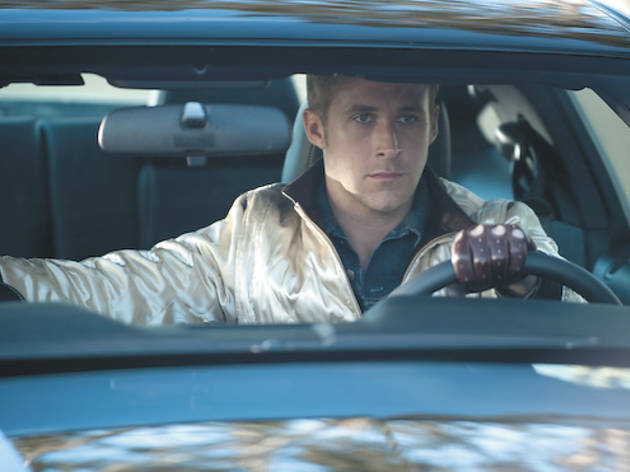 Drive Nicolas Winding Refn’s immaculately shot pastiche of Walter Hill and John Hughes is the year’s purest distillation of genre bliss. 6. A Separation What begins as a drama about a couple planning to separate soon ventures into murkier ethical territory. Iranian director Asghar Farhadi always shows us one less perspective than we need to make sense of events, a strategy that puts us in the position of the divorce judge. It opens in Chicago January 27. 7. Uncle Boonmee Who Can Recall His Past Lives In the most beguiling and accessible film yet from SAIC grad Apichatpong “Joe” Weerasethakul, a roof welder confronts his mortality with uncommon serenity. 8. Hugo Martin Scorsese honors Georges Méliès by doing what Méliès did: pushing the boundaries of the medium. 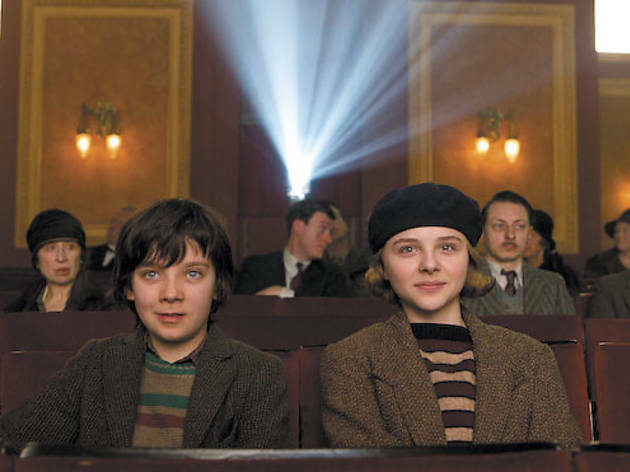 If 3-D is the future, Hugo sets the standard. 9. Contagion HOW MANY TIMES HAVE YOU TOUCHED YOUR FACE TODAY? 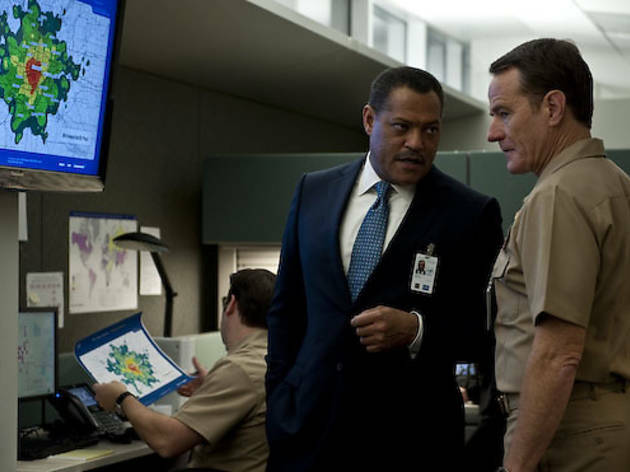 Steven Soderbergh’s epidemic thriller is global yet micro. Despite its murky politics, the allegory—pitting individuals against an international, bureaucratic quagmire—has relevance beyond epidemiology. 10. A Dangerous Method The subject of David Cronenberg’s Freud-Jung smackdown may be sexual repression, but the subtext is latent anti-Semitism. 1. 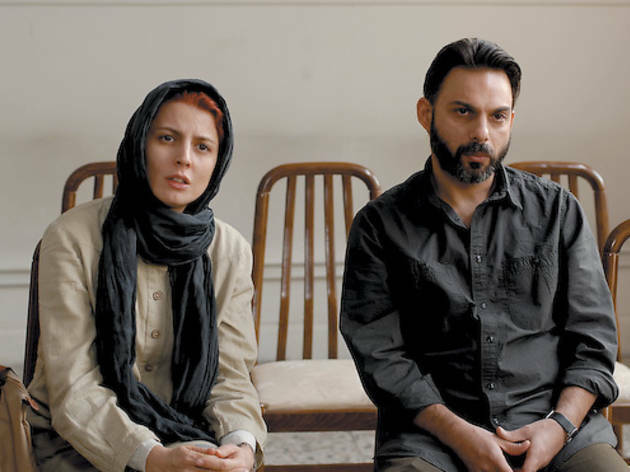 A Separation Is it a searing divorce drama? A political polemic? A high-stakes courtroom thriller? 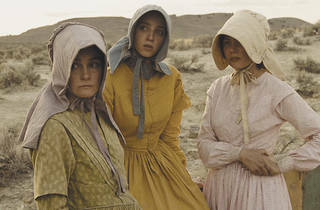 Farhadi’s Iranian masterpiece is all these things and more, though it functions best as a head-spinning procedural, one that turns each viewer into the impartial third party in a thorny legal dispute. A Separation shatters your heart, even as it sends your mind racing with the thrill of investigation. 2. Certified Copy Are they or aren’t they? That’s the big question at the center of Kiarostami’s playful and profound essay, though the conversations the film inspires—about art, performance and relationships—transcend such cut-and-dry narrative concerns. 3. 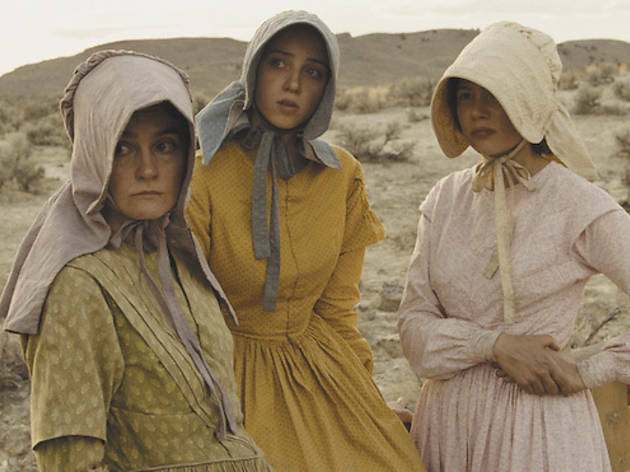 Meek’s Cutoff Dust and sky, labor and violence: Kelly Reichardt’s hypnotic minimalist Western, about a wagon caravan lost off the Oregon Trail, strips the genre down to its skeletal essence. It’s a sunburnt odyssey of the damned. 4. Martha Marcy May Marlene Disorientation is the guiding principle of this gripping, remarkably assured debut, which operates almost entirely within the frazzled and paranoid headspace of its title character. Sean Durkin directs with the eerie formal prowess of a young Roman Polanski; Elizabeth Olsen is his Catherine Deneuve—lost, beautiful and expressively blank. 5. 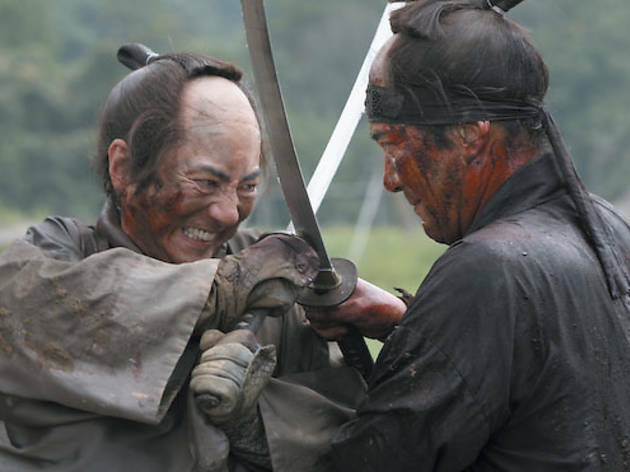 13 Assassins Yes, the climactic battle sequence is one for the ages. 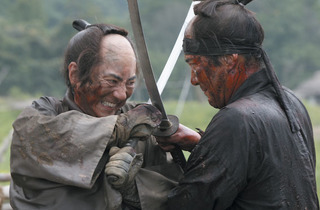 But everything leading up to it is pretty stunning, too—hard evidence that when he’s not just mucking around, Takashi Miike is a bona fide master filmmaker. 6. Drive Crushing hard on fast cars, ’80s pop anthems and extinct genre brands, Winding Refn reinvents himself as a swooning poet of film-geek pastiche. 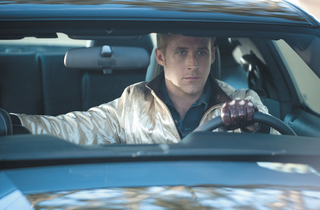 Drive is the kind of soulful exercise—a romance tucked into a brutal action lark, or maybe vice versa—that makes you fall in love with movies all over again. 7. Margaret If this spiky, complex, deeply ambitious picture is a compromise, imagine how astounding Lonergan’s uncut version must be. 8. 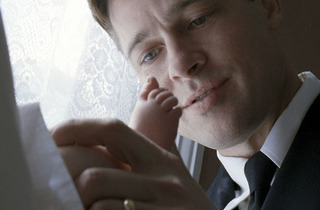 The Tree of Life It takes staggering hubris to square your own humble origins with the birth of the entire universe. 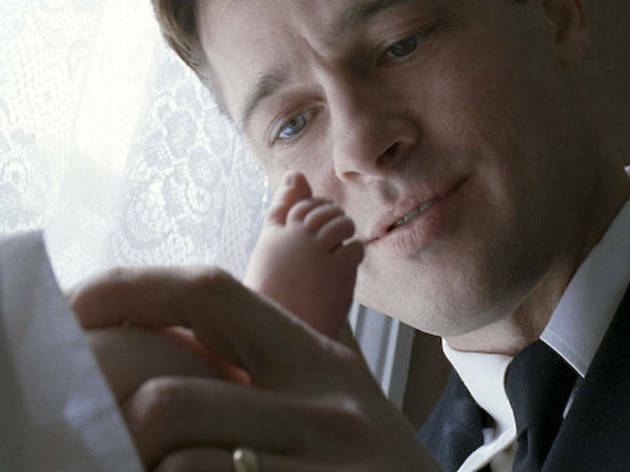 Courage, too: Terrence Malick invites ridicule and charges of pretentiousness by applying his trademark mythic grandeur to memories of his troubled childhood. It was worth the risk. 9. 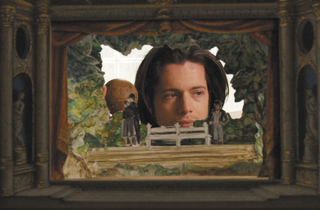 Mysteries of Lisbon Raoul Ruiz, who died in August, offers four-and-a-half glorious hours of romantic misadventure, Dickensian intrigue and swooping camerawork. We miss him already. 10. The Interrupters The word important gets thrown around a lot when talking about movies. The year’s best documentary earns it.